The book club selection for my newly created club. So I have a bit of mixed feelings about this one. I love love love the movie and by extension I really enjoyed the novelization of the movie that is the first half of this volume. I loved pictured the Sanderson sister running amok on the streets of Salem. I loved the little extra scenes that added into the story from Winnie’s perspective. I really enjoyed the first half. And then we get to the second half and things aren’t quite as good. It wasn’t the storyline or the characters. (Although at times I hoped the characters would act a bit more immature than they were portrayed) What really disappointed me was the first person narration. It was very jarring from the first half of the book. In addition, first person narration often feels very lazy and trite. I just didn’t love Poppy’s voice at all. 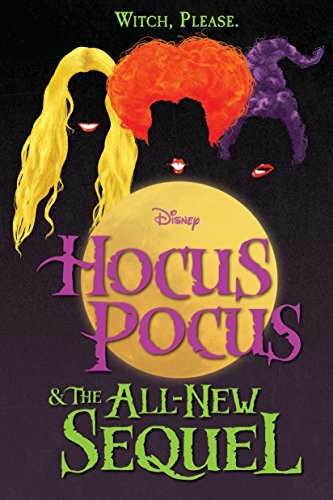 I was still excited to see the Sanderson sisters, meet their fourth sister, and even meet their mother.